Save even more money and time with our combo pack deals. 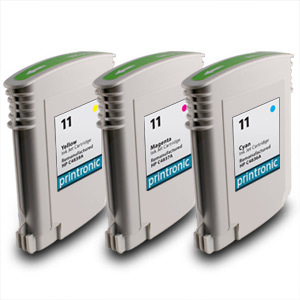 This combo pack comes with 3 HP 11 color cartridges (Cyan/Magenta/Yellow). As with our individual products our combo packs come with our 100% satisfaction guarantee.